Happy Weekend Everyone! 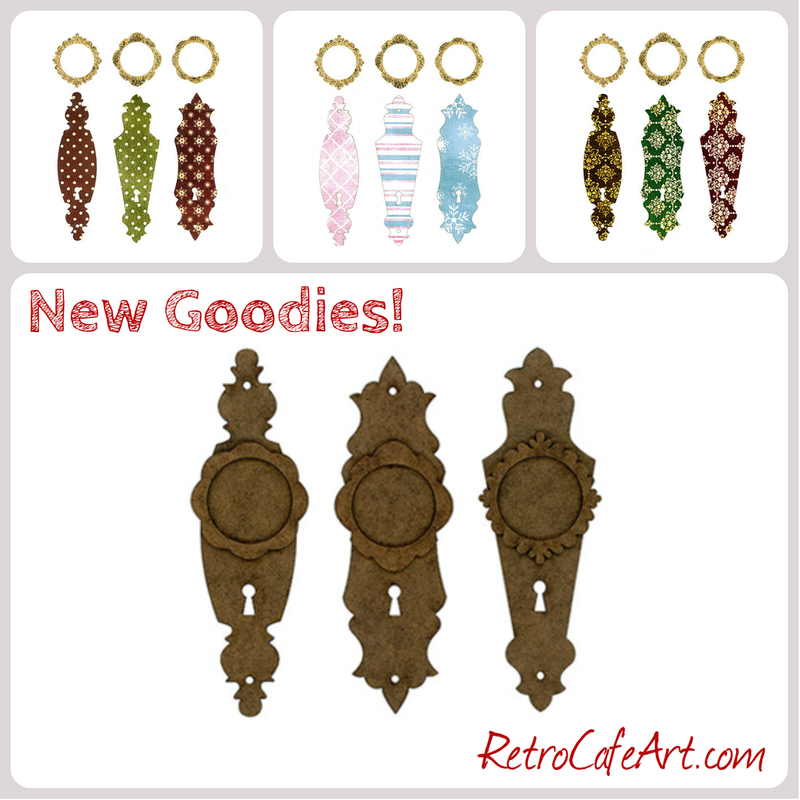 We have some fabulous new Kits in the shop! 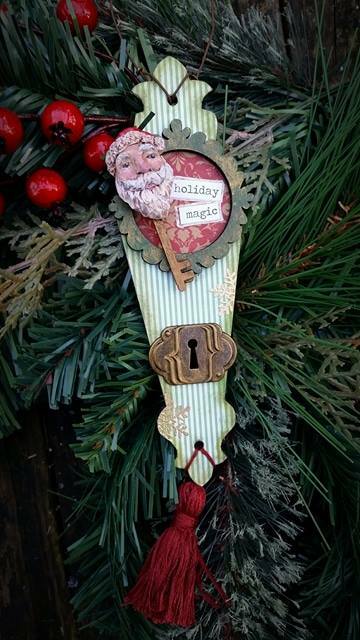 When I saw Sherry's Design Team Post (below), I was inspired to create some wonderful Christmasy Overlays for our Escutcheon Plate Ornaments! 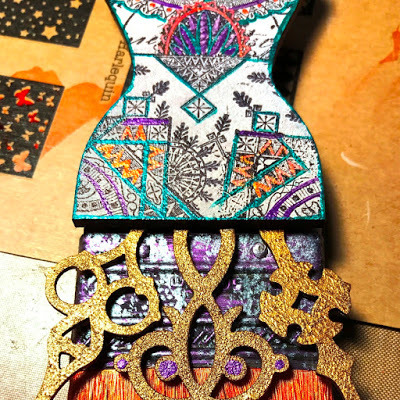 This way, the hard part is done for you, and you can add your images and embellishments to make some fabulous pieces. These kits are limited, so grab them while you can! 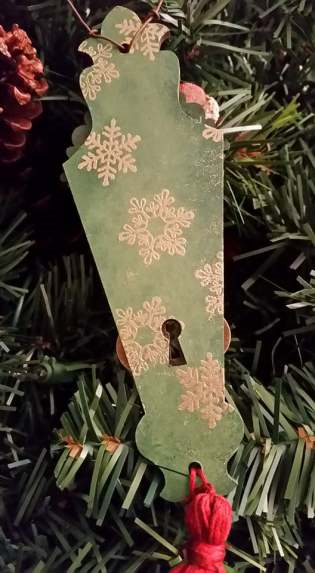 You get all three masonite ornaments, 3 decorative card stock paper cuts, plus 3 gold glitter cut outs for the circle frames! 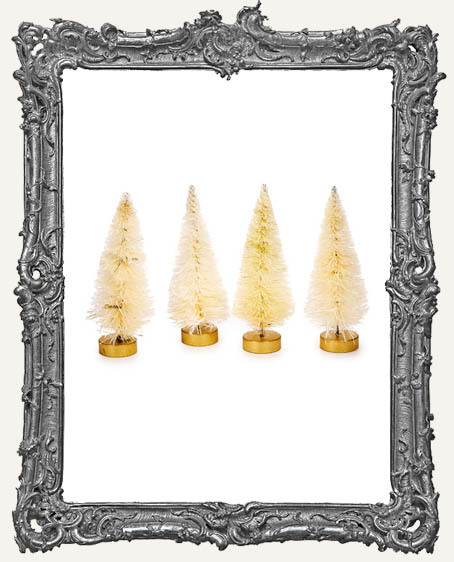 All of our Christmas Goodies are currently ON SALE and we have lots! 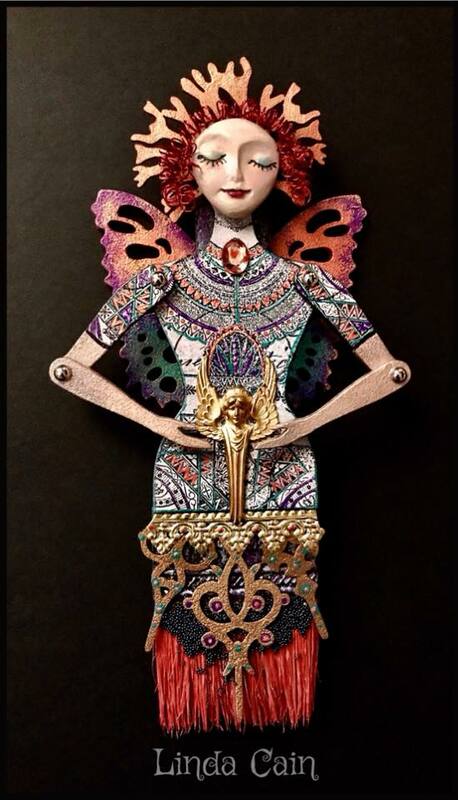 We love this stunning Steampunk Santos created by Sylvia Larkin! From Sylvia: "I am Blessed"
This fabulous Steampunk Santos stands for all the Blessings we receive on a daily basis: our connections with others, people we love, Nature, Literature, Music, Faith and the Arts. Her glasses allow her to visualize her many blessings even more.Each of the wooden supports contains a message about blessings. Inspiration By Rose Mary Maris! 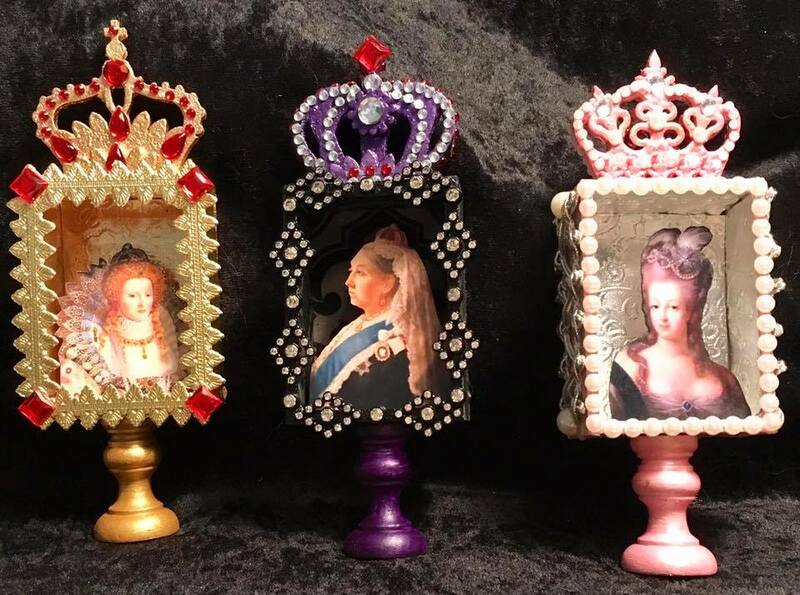 Rose Mary did a wonderful job with her Crown Shrines! Each one is a tribute to an amazing woman and their partners on the backs. We love the concept, and of course, all the bling. So pretty Rose Mary! 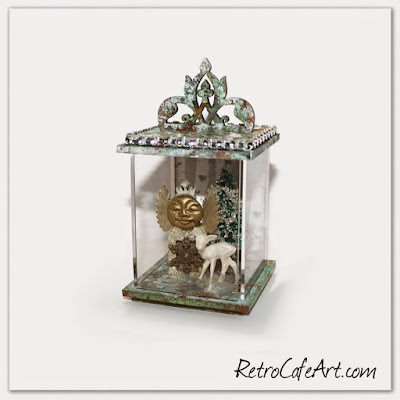 This winter themed Crystal Keepsake Box is one of my favorite Christmas projects! You can find the full tutorial HERE on our blog! Happy Weekend Everyone! We have some fabulous new Christmas goodies in the shop! 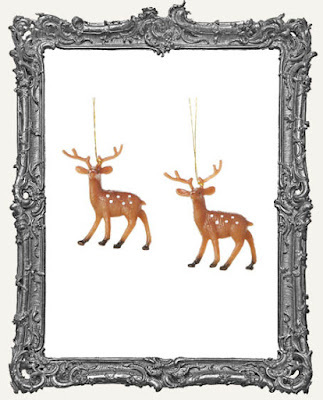 Lovely natural Sisal Trees and Wreaths, Mini Deer (my favorite), and more! All of these goodies are perfect for all of your Christmas arting and crafting. Who else is working on some homemade gifts this year? It's the perfect time to get started. We adore this stunning Santos Doll Chrissy Colon! A wonderful combo of Retro Cafe Art Gallery and Sandra Evertson's Relics and Artifacts! Beautifully done. 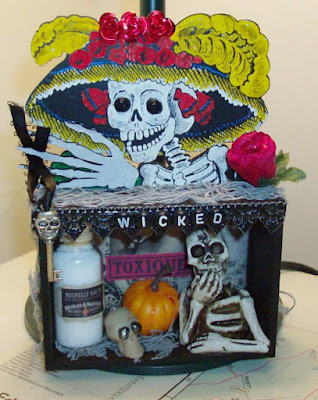 Halloween and Dia De Los Muertos Inspiration! We hope you had a wonderful Halloween and a fabulous Dia De Los Muertos! 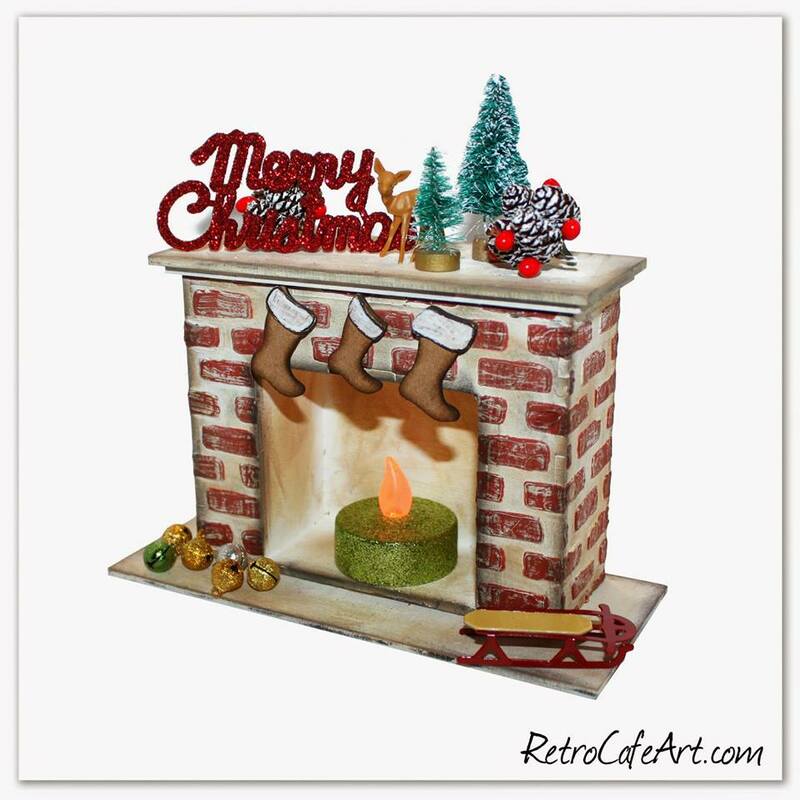 Our customers have been sharing some FABULOUS art, so we wanted to share a few pieces with you in honor of two fabulous holidays! 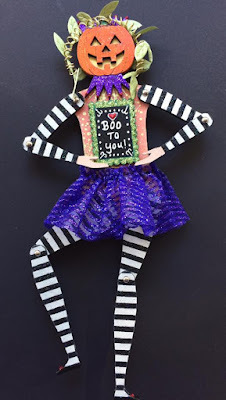 If you're still creating Halloween, that's totally great. There's always next year! 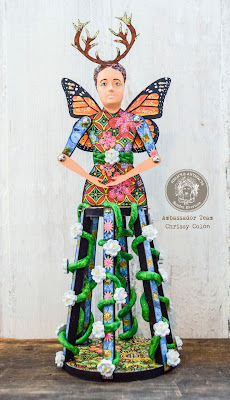 A delectable Frida Pumpkin Doll by Gena Boone-Curtis! 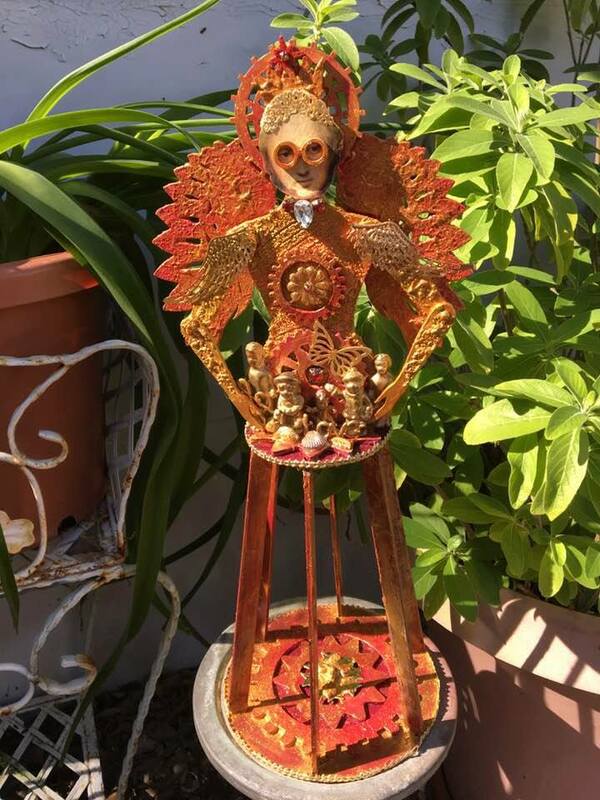 A festive Catrina Shrine by Teresa Hall! 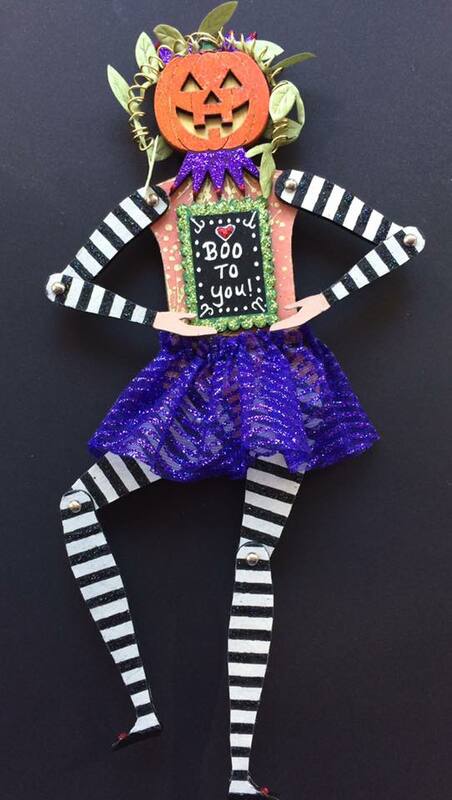 A whimsical Pumpkin Gal by Paula Wayne!